Most of the time we don't even look up while going about our daily routine, wandering up and down streets and through neighbourhoods without batting an eyelid. Ordinarily, we are surrounded by unimaginative, concrete copies of uniform abodes, whose true decorative character lies deep within their thick walls and curtained windows. But once in a while it pays to look up, because you might stumble across a pure architectural gem, that delights and inspires from the outside as well as within. The 5 homes we're about to view provide the prefect example of this phenomenon. Constructed of highly contrasting materials, these dwellings present 5 distinct design concepts, showcasing architectural ingenuity at it's finest. These houses would definitely prompt a pause mid-step, as we stop to admire the creativity of those daring enough to think outside the box and add an interesting aesthetic element to the landscape of a town or city. Take a tour below and wonder at these stunning, unique designs, then tell us what you think! 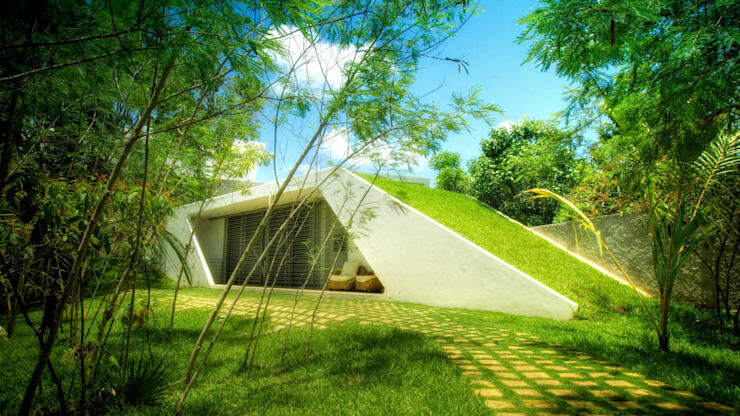 This novel design immerses a geometric construction within the rolling green camouflage of a lush garden. The slanted roof of the home allows the entire structure to be covered in grass, with more mature trees and sparse clumps of bamboo completing the scene to create a vibrant, localised rainforest. A white, concrete facade breaks the camouflage, with the warm tiles of a paved pathway leading up to the front door. 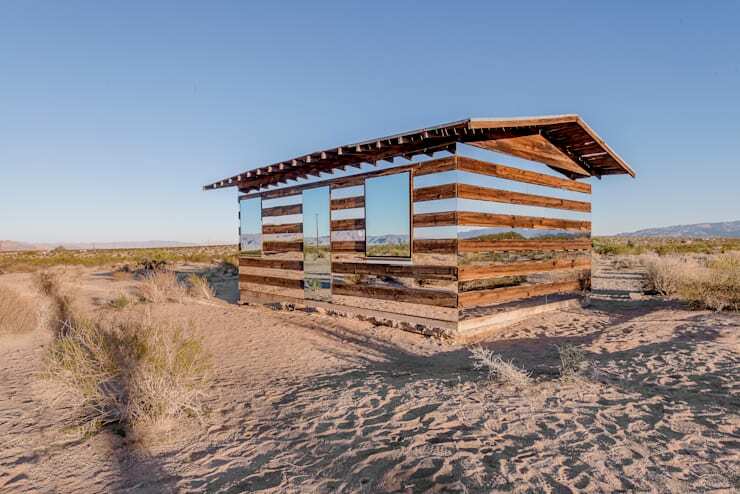 This beachside cottage made of mirror and wood presents a perfect example of how design techniques can create a powerful optical illusion. The mirror panels on the walls and windows muddle the eye, tricking onlookers into believing that the wooden boards and roof are simply floating in the air atop a sandy beach. After sundown, when the mirrors begin to reflect a starry, night sky, this cottage is nothing short of breathtaking. This minimalistic, box house is completely covered in reflective panels on the outside, creating another stunning optical illusion. 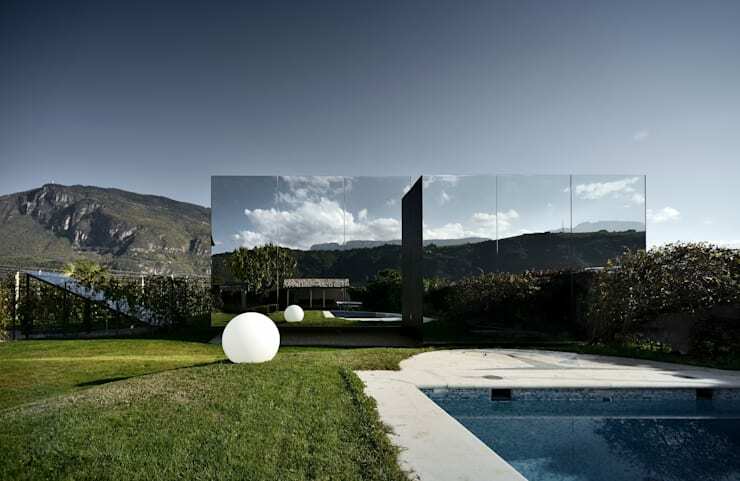 Designed by Italy's Peter Pichler Architecture, the façade of the house is almost invisible throughout the day, reflecting the stunning mounting scenery framing its large estate. After dark the abode appears mysterious and magical, with billowing clouds and shadows decorating its sleek, reflective façade. 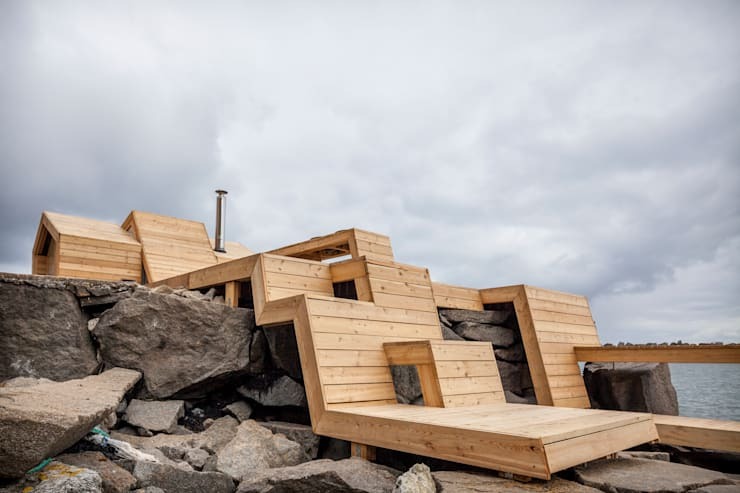 This extraordinary construction, built into the side of a rocky pier, is utterly unique and almost indiscnerible as a human dwelling! Located in Norway, the house was designed by Oslo's Scarcity and Creativity Studio, and presents a brilliant interpretation of a timber, seaside cottage, with the pale tones of its facade draping easily across its rocky foundation, right unto the water's edge. Finally, this wood and glass house built into a gravelly hillside is another example of a home that must be scrutinised to be fully appreciated. The warm tones of its timber façade glow like copper, providing a strong, geometric structure within which to house large stretches of glass panelling. 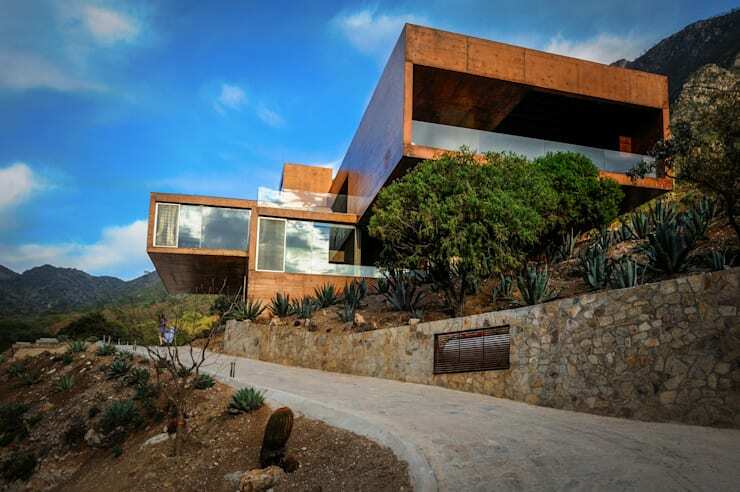 Design by Mexico's P+0 Arquitectura, this home stands poised and proud upon its natural dais, ready to be admired by curious passers-by. For another example of an extraordinarily inventive home have a look at The Brilliant House Made of Bamboo! Which of these amazing homes would you like to live in most? Tell us below!